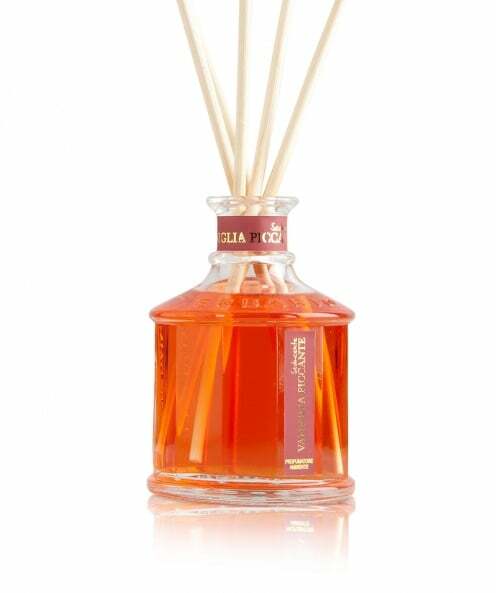 Characterised by warming flowery notes, the Erbario Toscano Spicy Vanilla 250ml diffuser promises to adorn your home in a sweet, woody aroma this season. With delicate hints of sandalwood and patchouli this fragrance becomes an excellent option for colder months. Made in Italy, choose this diffuser as a luxury gift option.